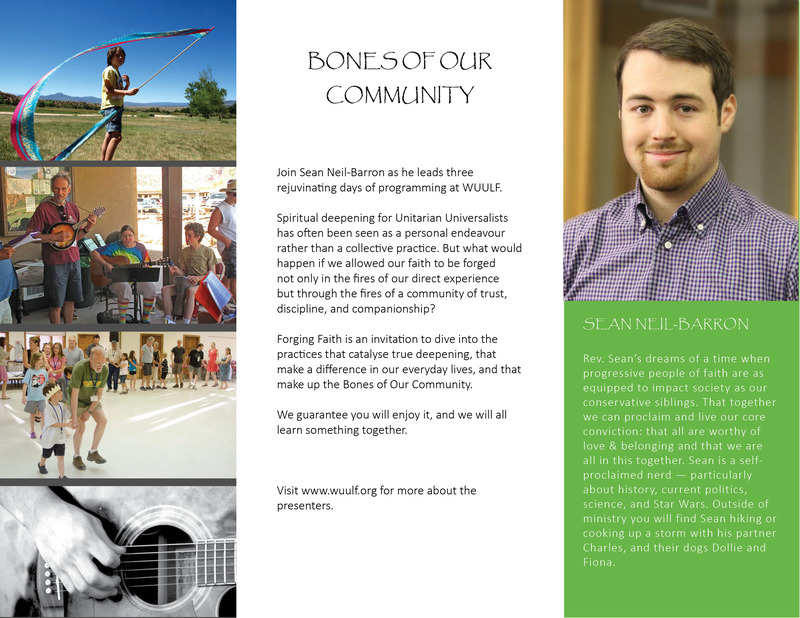 Join Sean Neil-Barron as he leads three rejuvinating days of programming at WUULF. Spiritual deepening for Unitarian Universalists has often been seen as a personal endeavour rather than a collective practice. But what would happen if we allowed our faith to be forged not only in the fires of our direct experience but through the fires of a community of trust, discipline, and companionship? Forging Faith is an invitation to dive into the practices that catalyse true deepening, that make a difference in our everyday lives, and that make up the Bones of Our Community. We guarantee you will enjoy it, and we will all learn something together. This presentation offers a virtual tour of Nuclear NM, with stories, commentary, and still photography based on their book Nuclear New Mexico: A Historical, Natural, and Virtual Tour. NM became the nuclear navel of the world as the secret home of the Manhattan Project during World War II when the atomic bomb was developed in Los Alamos and tested at Trinity Site. During the Cold War, the work continued at two national laboratories: Los Alamos and Sandia (in Albuquerque). The Waste Isolation Pilot Plant (WIPP) near Carlsbad provided a place to deposit radioactive waste from the labs, but has been hampered by containment problems. M. Jimmie Killingsworth and Jacqueline S. Palmer both taught technical communication and rhetoric and are co-authors of the award-winning book Ecospeak: Rhetoric and Environmental Politics in America (1992) and the textbook Information in Action: A Guide to Technical Communication (1999). This program explores the history of the civil rights movement through the lives of two powerful women: Rosa Parks, the African-American seamstress who refused to give up her seat to a white woman on a segregated bus; and Coretta Scott King, the widow of Dr. Martin Luther King Jr. Coretta was the phenomenal force behind the throne who never faltered in her dedication. She was a singer who gave up her career to support her husband and the hard pathway to freedom. Brenda Hollingsworth-Marley is a popular vocalist, having appeared at numerous community, church and jazz events. She is also a popular story-telling who has performed in many venues. This talk addresses the life of environmental anarchist Edward Abbey and includes readings from Loeffler’s biographical memoir of his late best friend. Together, Abbey and Loeffler ranged the American Southwest engaged in a conversation that lasted for decades. Loeffler recalls some adventures and speaks of the complex points of view that led Abbey to launch the radical environmental movement. Jack Loeffler is a writer, aural historian, radio producer and sound collage artist who has hunted and gathered sound throughout the ues with Ed: A Portrait of Abbey. He is proprietor of the Peregrine Arts Sound Archive in Santa Fe, and his extensive collection of recordings is currently being digitally duplicated, to be donated to the Museum of New Mexico.